Each season, FIRST Robotics Competition teams receive Kits of Parts (KoP). 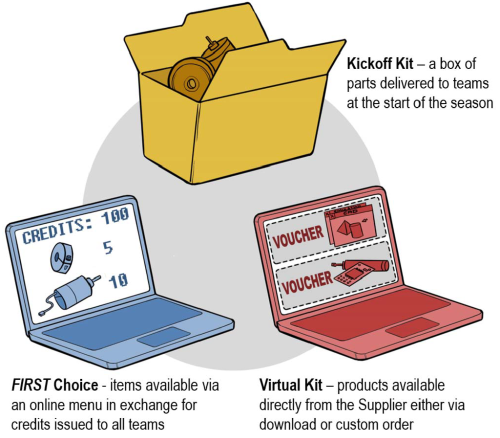 The KoP has three parts available to teams through a variety of sources; the Kickoff Kit, FIRST Choice, and the Virtual Kit. The Kickoff Kit is distributed via local Kickoffs (or via MySite shipment for those teams that can’t make it to a local Kickoff). 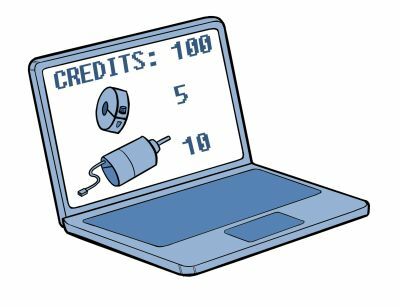 FIRST Choice is an online repository of items that teams can get using credits. The Virtual Kit is the list of items available to teams directly and take two forms: software downloads or vouchers for goods. Once we’re closer to Kickoff, we’ll let you know the general size and weight of the Kickoff Kit so you can plan your transportation home from Kickoff accordingly. Right before Kickoff, we’ll post an encrypted list of the Kickoff Kit’s contents – on Kickoff Day, you’ll get the encryption code so you can inspect your contents and use our Replacement Parts System to let us know if anything’s missing or damaged (details later). We believe that what the Kit of Parts model lacks in simplicity, it makes up for in flexibility: for Donors and for teams. What do FIRST kit donors and this bulldog have in common? This is the time of year when we’re finalizing all the Kit of Parts components. We spend a lot of time on the phone and emailing with the ~100 FIRST Robotics Competition Suppliers who generously send us parts they want you to have. We’re reminded of what an incredibly supportive group they are, and how proud they are to be involved in the hardest fun you'll ever have! In speaking with the Dean’s List Finalists over the summer, we realized that not many teams/students/mentors realize the degree to which these donors support your efforts. Please consider thanking them on social media and/or when you see them at our events! The FIRST Choice program continues for the 2019 season (for detail, aka FIRST Choice 101, visit the FIRST Choice section of the Kit of Parts page), so mark your calendars! The top of the Kit of Parts website has an updated timeline for the 2019 season which includes key FIRST Choice dates. There’s a change you may nor may not notice, but we want to highlight. There will be no “Open for ‘normal’ ordering” stage between Round 1 of Priority Lists and Round 2 of priority lists in order to let AndyMark focus their resources elsewhere at that time of year. We’re happy to let you know that we will again be opening the Virtual Kit before Kickoff - November 15, 2018, noon, Eastern. the Virtual Kit section of the Kit of Parts webpage will be updated to include all 2019 Pre-Kickoff Vouchers and the relevant details. any codes needed to redeem vouchers or license software will go live in the team’s registration account at firstinspires.org. Codes will only be visible for secured (i.e. paid) teams and only visible to Lead Mentors 1 and 2. If your team’s not secured by November 15, 2018, it’s okay. As soon as your team’s paid up, the codes will become live in your team’s registration account. We expect to post additional Virtual Kit items on Kickoff day, so make sure to check back then. Your 2019 Kickoff Kit may or may not include a Drive Base Kit… you get to decide. You may decline the drive base kit and receive a $450 voucher to AndyMark instead (voucher will be available with the other PreKickoff Virtual Kit items mentioned above on November 15, 2018). To accomodate drive base kit production lead times, this option is only available from noon (Eastern) today, Monday, October 1,2018 until noon (Eastern) on Tuesday, October 9, 2018. If your team does nothing by the deadline, you will be assigned the ‘default’ option of receiving the Drive Base Kit as part of your Kickoff Kit. 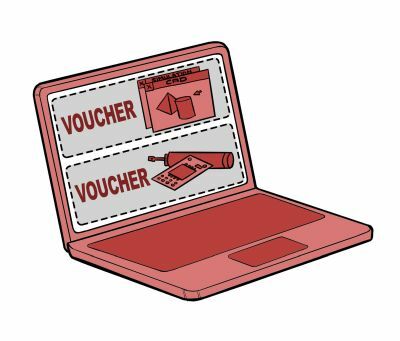 To opt out and receive the voucher instead, follow the instructions here. To help you make your decision, we can give you some general information about the 2019 Drive Base Kit. It’s similar to the AM14U3 from 2018, and includes a bumper and battery mounting kit. Features are such that they enable a team to execute basic elements of game play. Design is such that the drive base can be assembled and driving by a small team with limited resource within two days. We totally get that this puts you in a position where you have to make a decision without a lot of information, which is frustrating. We believe, and feedback affirms, that many of you would rather have this option with little information than not have it at all. So, we try to give you as much information as we can without revealing details about the game (for example, a drive base with significant ground clearance may imply some type of obstacle on the field that robots would likely have to traverse. If we revealed details such as ground clearance, we would be giving away more than we should). 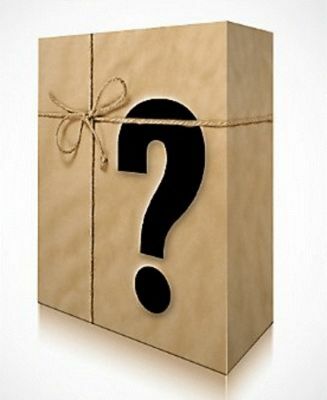 In the lead up to previous FRC seasons, we invited you to tell us that you wanted one extra set of game pieces with your Kickoff Kit (without revealing what that means) in exchange for a significant portion of your FIRST Choice credits (because you experience significant challenges in sourcing game pieces: both in shipping time - up to 3-4 weeks for the items to arrive - and extra fees associated with importing such items). This opportunity, an admittedly band-aid-like attempt to decrease inequity between the US and non-US teams in the game-piece-sourcing-bubble, has had mixed reviews since its inception – some of you felt the credit cost was too high, others were frustrated it was only one set, etc. As a result, we’re working with distribution partner(s) to stage inventory around the world. We expect this effort to do a much better job of bringing your experience closer to the US-team experience, and thus negate the need for the game-piece-option-band-aid for most of you (there will still be a few countries that we won’t be able to reach in this way, so we’ll reach out to you directly and invite you to make the FIRST Choice credit/game piece set trade by the end of next week, October 12). I just wanted to let you know that the link to the FIRST Choice section of the Kit of Parts page isn't working (gives a "denied access" response, saying the content has moved or been deleted). Thanks so much for the heads up! I've fixed the link, so it should be good now. For a lead mentor that is bordering on burnout, I hate that the Virtual Kit codes are not in a format that can be easily delegated (without giving someone my login credentials) (No, I really won't do that, but that's the only way I can see to delegate evaluation of the Virtual Kit items.) Please, help! Thank you for your input, and please accept our apologies that there isn’t a formal export feature. To share codes with others, we recommend Lead Mentors 1 or 2 take a screen shot of the information and distribute that to those with whom you’d like to share. We are team #7102, Daedalus. It is our second year in the event and we would like to purchase a Rookie Starter Kit. How much would it cost to get one of these kits if possible, and how could we get in touch to follow up? Welcome back! Rookie kits are not for sale and only available to first-year teams. For any questions about the FIRST Robotics Competition program, please contact FIRSTRoboticsCompetition@firstinspires.org. Hi, we are VelaBots 7577 and we are new this season (2019), the question is: when will be delivered the rookie base kit to Mexican teams? Hi VelaBots - welcome to the FIRST Robotics Competition. The drive base kit will be delivered with the rest of your Kickoff Kit. If you selected to pick it up at your local Kickoff site, you'll get it then, on 1/5/19. If you select to be a MySite team (i.e. have the kit shipped directly to you, but at your expense), you'll see it shortly after Kickoff. Hi Kate, we are rookie team from Tonga and find it really hard to afford our registration but really need support in how to receive any grant to assist us. We are from a very small country that has no prior robotic skills and experiences but really eager to bring STEM to Tonga. Please advice on how to request for the kit and give us your best recommendation. Hi, 7550. Welcome to the FIRST Robotics Competition! Each team receives a Kickoff Kit, access to FIRST Choice (and credits), and access to the Virtual Kit as part of their registration. More info about those three things can be found on the Kit of Parts website, https://www.firstinspires.org/robotics/frc/kit-of-parts. Meanwhile, please contact Team Support at FIRSTRoboticsCompetition@firstinspires.org for questions and information about how to get your Kickoff Kit and how to apply for grants. Good luck this season! Hello, I am a brand new co-mentor. I have no experience. My team members has never built, because they all graduated high school. We have no idea what these options mean. We have reached out to other teams to ask if we need to opt in or out for any of options mentioned above. I guess they are all busy. Any assistance would be greatly appreciated. Thanks for your note, and we’re sorry you feel overwhelmed by these options. The good news is that they’re all optional, and if you don’t do anything listed above, you’ll still get your Kickoff Kit, FIRST Choice credits, and access to the Virtual Kit items. For advice and support locally, we recommend you reach out to a Regional Director who can help you navigate the season and introduce you to other teams than can provide support. This “Find Local Support” page shares their contact information.